Hello everyone, I hope you’ve had a lovely weekend! 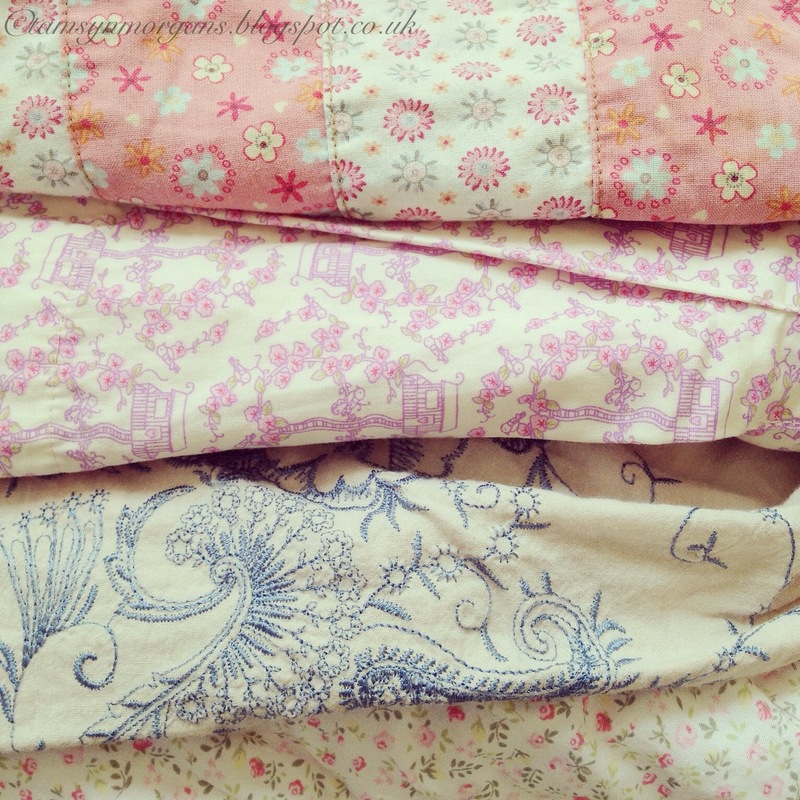 I just wanted to share some snapshots with you of my patchwork project I am working on at the moment. Being the sentimental hoarder that I am, I have kept bags and bags of my daughters clothes since she was a baby. Some of her tinier outfits have made their way into box frames, some I just can’t bear to part with, and many I kept because they were made from the prettiest fabrics, with the aim of making her a patchwork blanket. 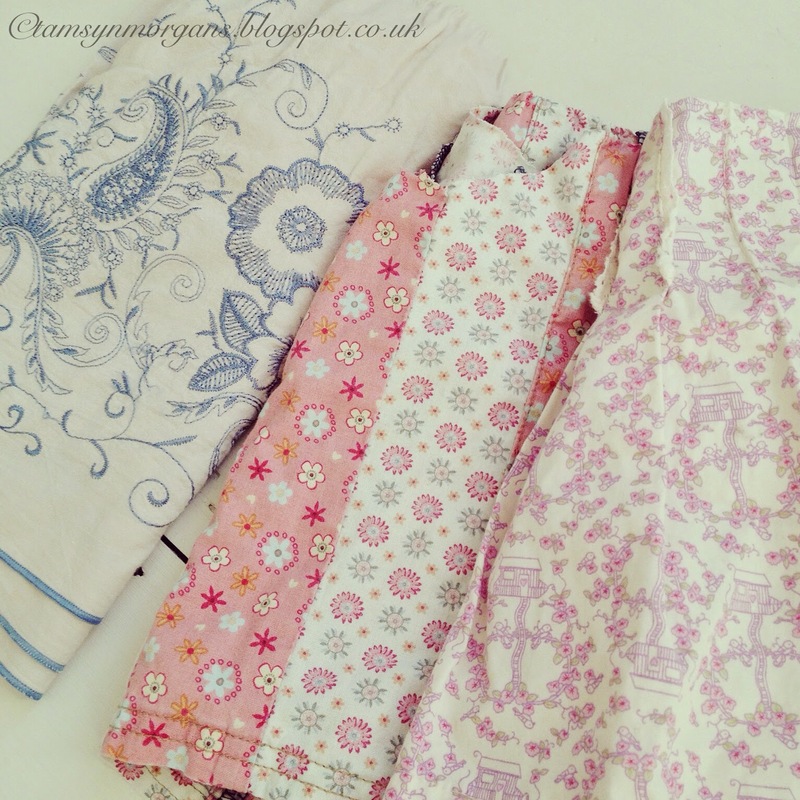 I finally plucked up the courage to take a pair of scissors to the fabrics a few weeks ago. 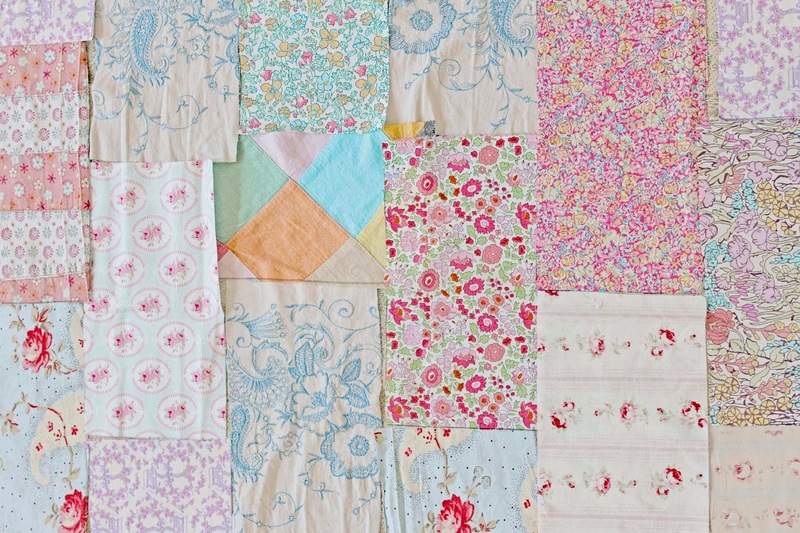 I’ve added some Liberty print and Tilda fabrics into the mix too, and I love how all the patterns clash into a burst of floral pastel prettiness! After a lot of arranging and rearranging, I finally stitched together the first few rows this week. I’m hoping that not only will it keep her cosy, but that she will treasure it in adulthood. I’ll share my progress with you soon! That is going to be so charming! I wish I had kept more of my daughter's clothes.